What makes Austin, Texas, unlike like anywhere else in the world? Find out this beautifully illustrated picture book. 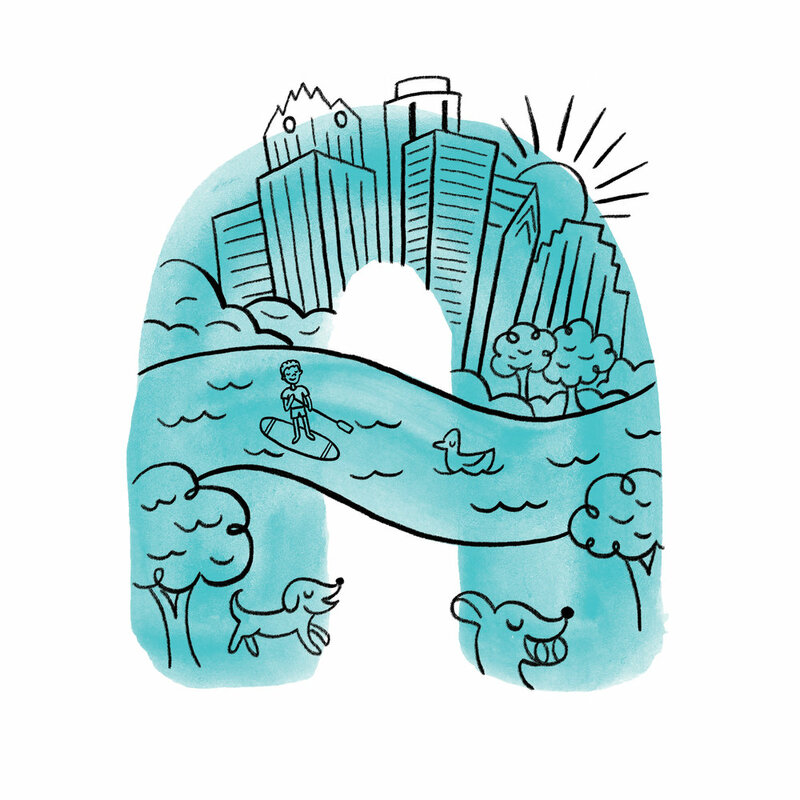 A is for Austin, our local home base. It's the beautiful setting where this story takes place. Skies filled with bats. Breakfasts filled with tacos. Fantastical festivals. Shimmering springs. There are many weird and wonderful reasons why Austin, Texas, is such an enchanting place — and this alphabetical guide highlights some of the very best. Explore what makes Austin unlike anywhere else in the world.